A ver warm welcome to Heartin Kanikathottu! 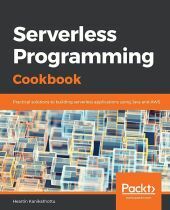 I have been reading articles and blogs about serverless programming and AWS lamdas for some time now. However, some of them raise concerns about the drawbacks of the same for instance, vendor lock-in etc. Does this book address these problems and provide solutions or workarounds? Also, does the book provide guidelines on the kind of problems this is suitable for and where it is not?